O2 휠셋 개발의 목표는 그래블 바이크(gravel bikes)와 크로스컨트리 산악자전거 (XC mountain bikes)을 위한 최고의 휠셋을 개발하는 것이였다. 경쟁 브랜드들이 무게, 측면 강성, 편안함 또는 내구성 등 특정한 부분에 집중하는데 반하여 사이클 선수 출신인 공동 창업자인 Rik Kusters와 Nieck Busser은 모든 중요한 휠셋 특성에서 탁월함을 가진 전천후 오프로드 휠셋 (all-round off-road wheelset)을 개발하고자 했다. Scope는 항상 독차적인 허브들을 개발하여왔는데 그 이유는 휠은 단순한 부품의 조립이 아닌 시스템적으로 개발되고 제조되어야 한다고 생각했기 때문이다. 하나의 시스템으로 휠을 제조함으로써 허브의 기하학적 설계는 최적의 스포크 텐션으로 최적의 측면 강성을 확보하는데 최적화될 수 있다. 뒤 허브의 61mm라는 보다 넓은 폭의 테두리 거리는 51 N/mm의 측면 강성을 실현할 수 있게 했다. 또한 리어 휠의 2:1 스포크 패턴은 림과의 3 mm off-set으로 Non-Drive Side 스포크 강성과 Drive Side의 스포크 강성을 거의 동일하게 할 수 있어 보다 강한 측면 강성과 내구성을 확보할 수 있게 하였다. Scope 개발 철학중 하나는 내구성이 무게보다 우선한다는 것이다. 그러한 이유로 베어링, 실링, 스포크, 림 프로파일에 있어서 어떠한 타협도 하지 않았다. 그런데 무게에서도 최고 경량을 확보하기 위해서 Scope는 독차적인 기술인 LOCAL REINFORCEMENT TECHNOLOGY (LRT)을 개발한다. 이 독특한 제조 기술은 스포크 홀이 위치하는 림 부분만을 더 강화하는 것인데 일반적 휠셋은 스포크 홀 전체 영역을 강화한다. 이 독자 기술을 적용함으로써 전반적인 림 두께를 줄일 수 있었고 10%의 무게 감량이 가능했다. 이로 인하여 전체 휠세트 무게는 1,380그램로 가벼워졌고 또한 림폭을 감안할 경우 튜브리스 레디 시스템과 전반적인 내구성에서도 독보적인 수준을 실현하였다. O2 림의 타이어 베드 포로파일은 25mm 내부 폭을 가진 hookless 튜브리스 레디 타이어 베드을 적용하여 Schwalbe와의 협업을 통하여 개발되어 Schwalbe로부터 그래블 카본 휠셋으로는 최초로 AAA 인증을 획득하였으며 Schwalbe G-One과 같은 타이어와 최적의 장착성, 공기 주입성, 주행 특성을 지닌다. 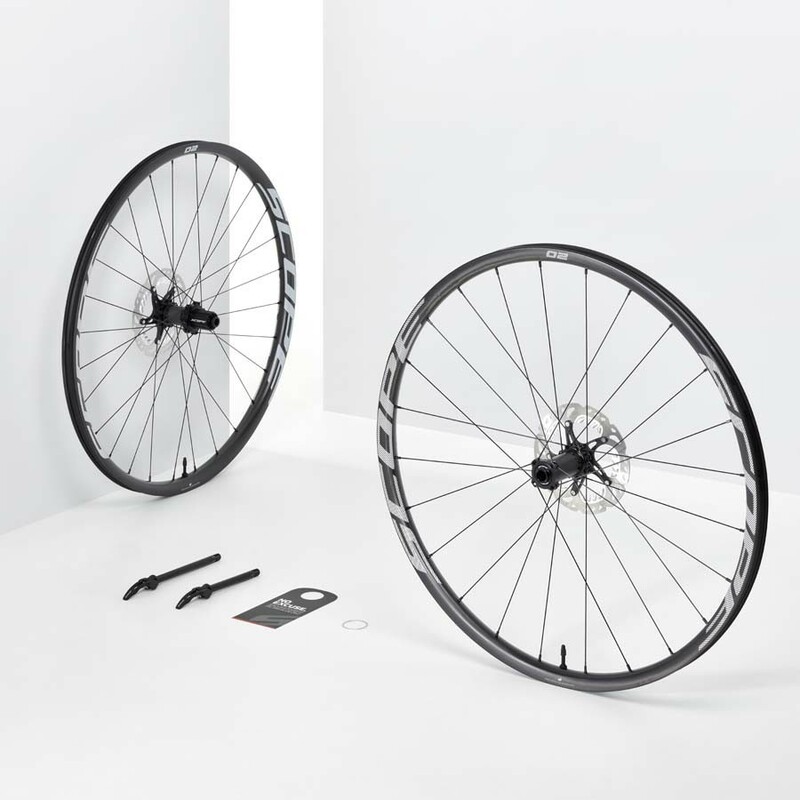 When starting this project, it was the aim of Scope to develop the best-in-class off-road wheelset for the use in gravel bikes and XC mountain bikes. 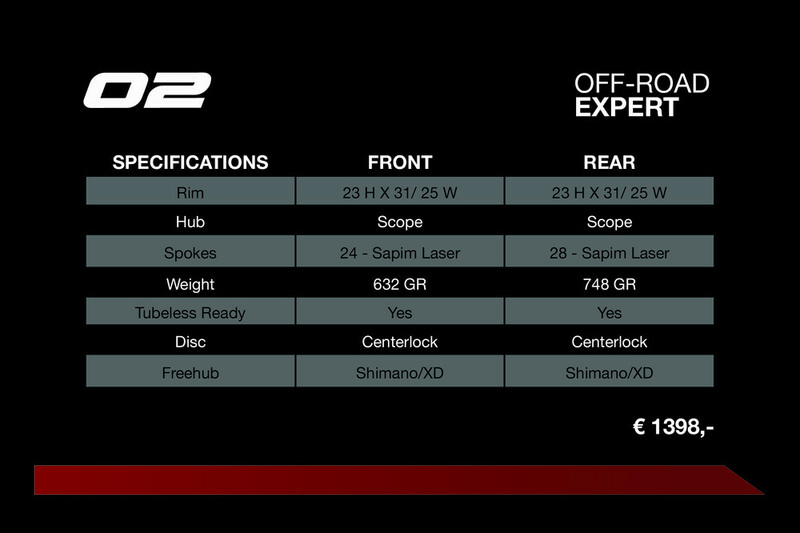 Where most of their competitors are focusing on one specific area like; weight, lateral stiffness, comfort, or durability, it was the aim of both co-founders; Rik Kusters and Nieck Busser, to combine all the important product characteristics into one all-round off-road wheelset, thereby ticking all the boxes. 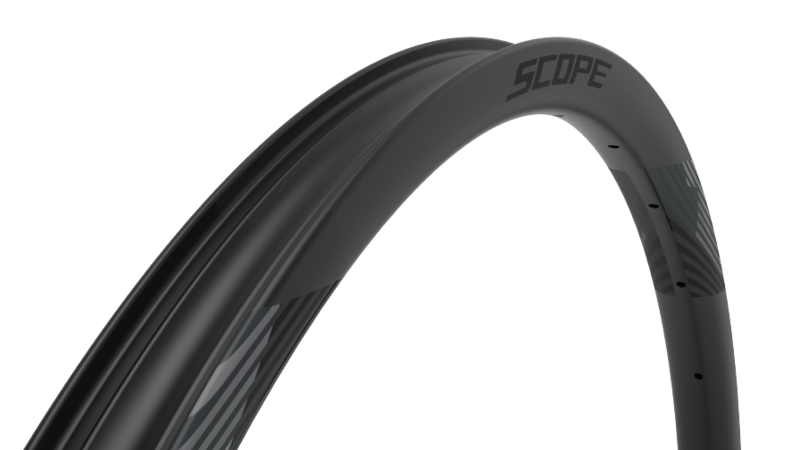 The Scope O2 multi purpose rim is a hookless tubeless carbon rim designed for cyclocross, gravel and XC MTB rim use with a 25 mm internal and 31 mm external width. 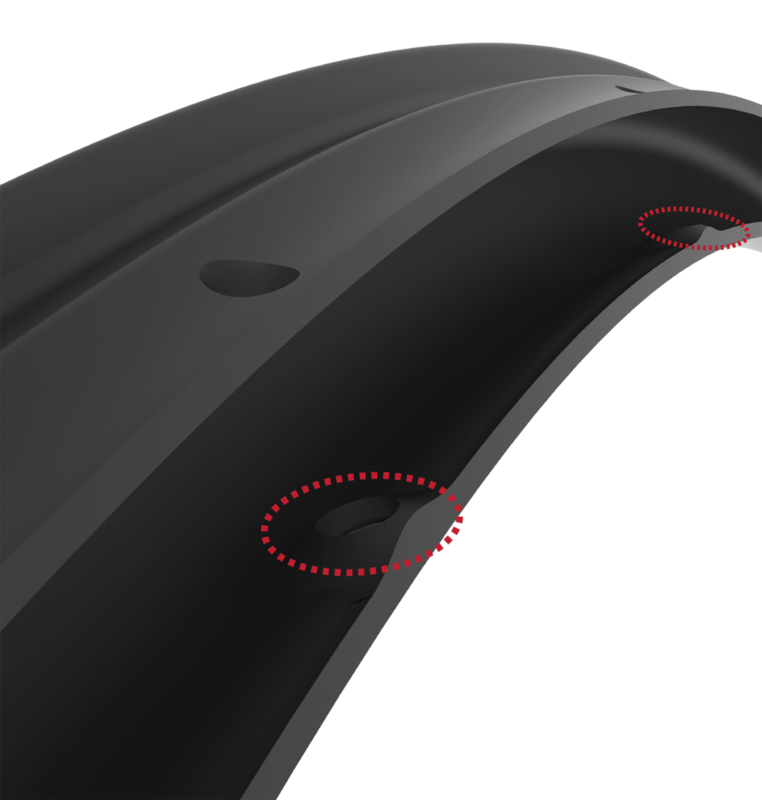 It is the first AAA Schwalbe approved for tubeless tyre compatibility. 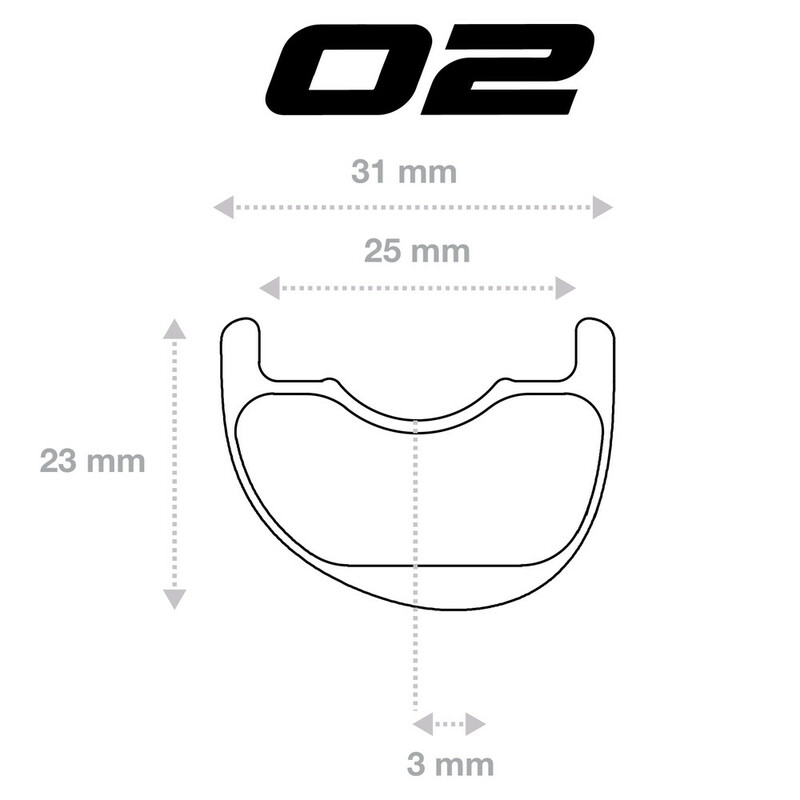 The O2 is shallow (23mm) for vertical give and is light weighing in at 370g each. 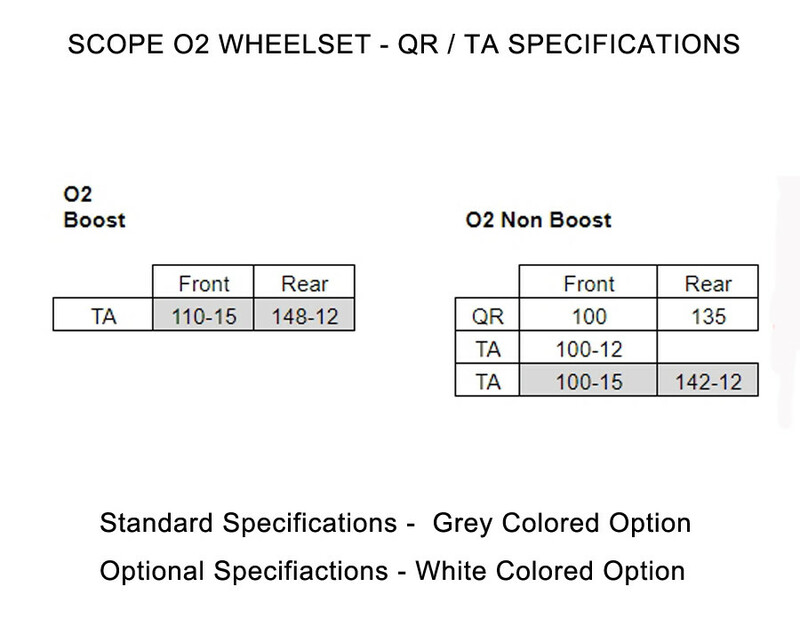 Scope has always developed and produced its own hubs since it’s their believe that wheels should be built as a system. 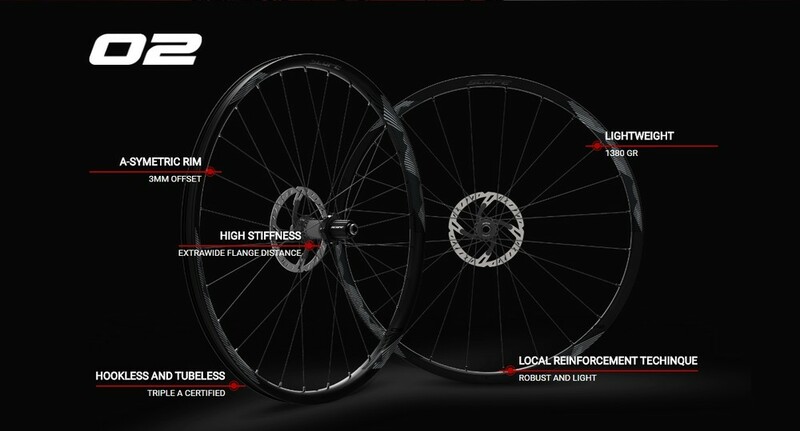 By building the wheels as system, the geometry of the hubs is optimized to create an optimal stiffness with optimal spoke tension. 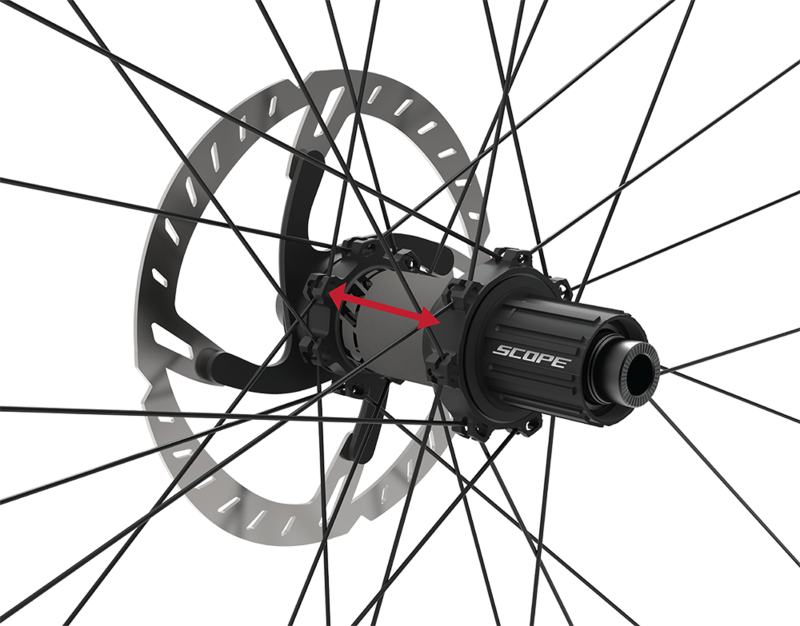 The extra wide flange distance of 61 mm for the rear hub results in a lateral stiffness of 51 N/mm for the rear wheels while the 2:1 spoke pattern combined with the 3 mm off set in the rim ensures that the spoke tension of the Non-Drive Side and Drive Side are near-equal for better lateral stiffness and durability performance. 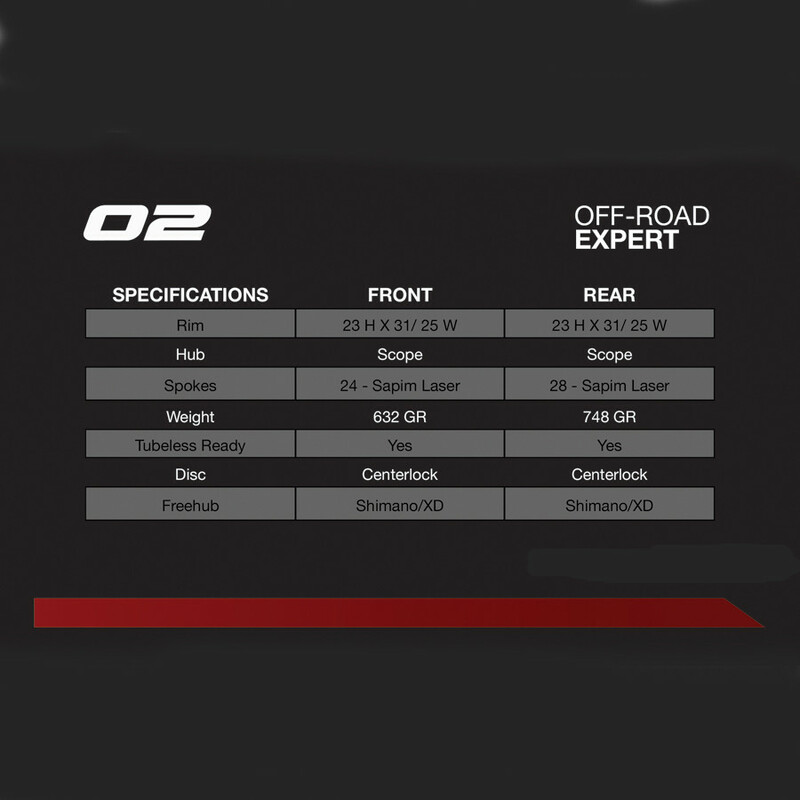 The tire-bed profile of the new Scope O2 rims makes use of a 25-mm internal width tubeless-ready hookless tirebed developed in cooperation with Schwalbe tires for perfect mounting, inflation, and on-pressure properties.